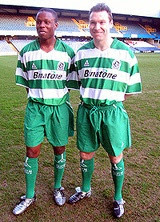 The hoops were back to to the right size in an otherwise unmemorable kit. The material used for the replicas was horrible - you could make your own from a Tesco carrier bag. 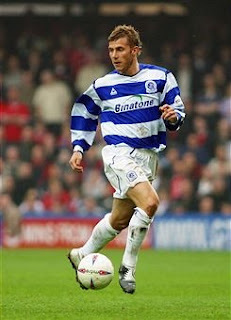 Binatone were now the rather unfashionable sponsors. A strange offering for the change of kit. Always looked better with black shorts. A third kit was introduced in March - another stab at green and white hoops, yuck. Not a great season for kits in an otherwise excellent season.